2019 Women's Spring Training Starts April 6! 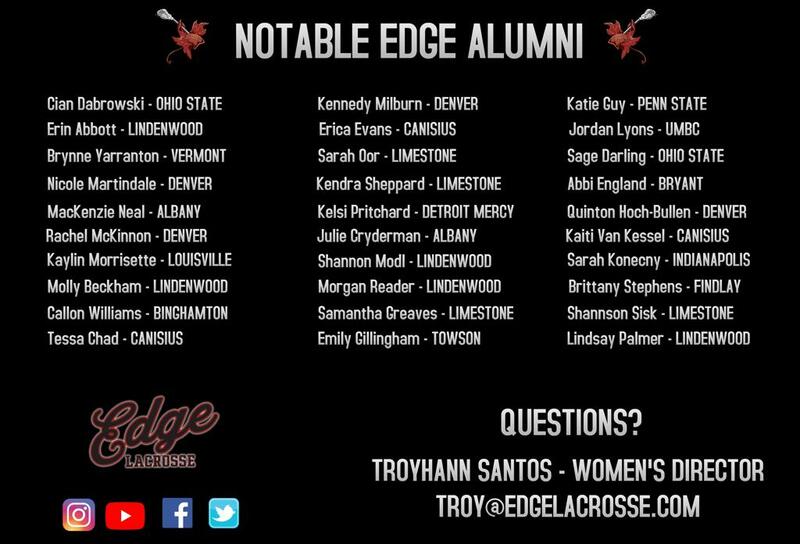 Thank you for your interest in EDGE Lacrosse. 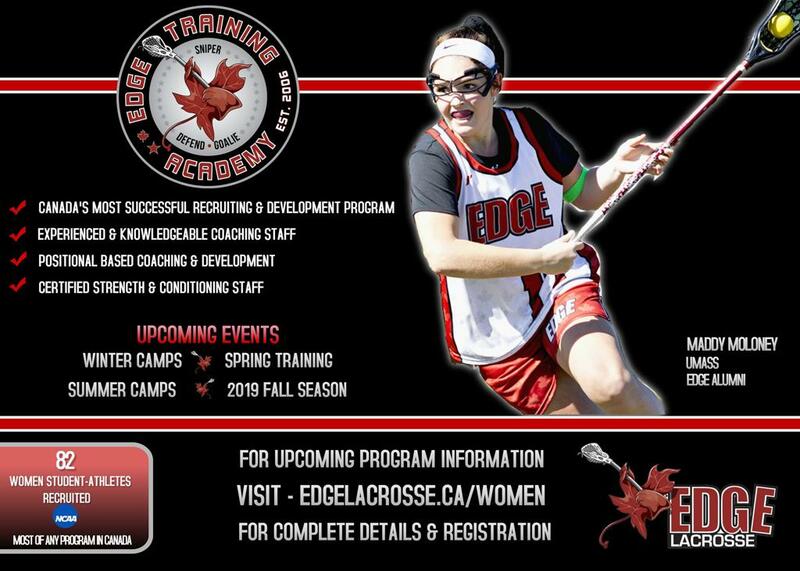 You will find all 2019 event and info posted here or directly at www.edgelacrosse.ca/women - Check back frequently as we updated 2019 events, we hope you will join us in 2019! 2019 Spring Training Program - Starts April 6th! Spring is only a few weeks away (hopefully)! We are pleased to open registration for our women's 2019 Spring Training Program. 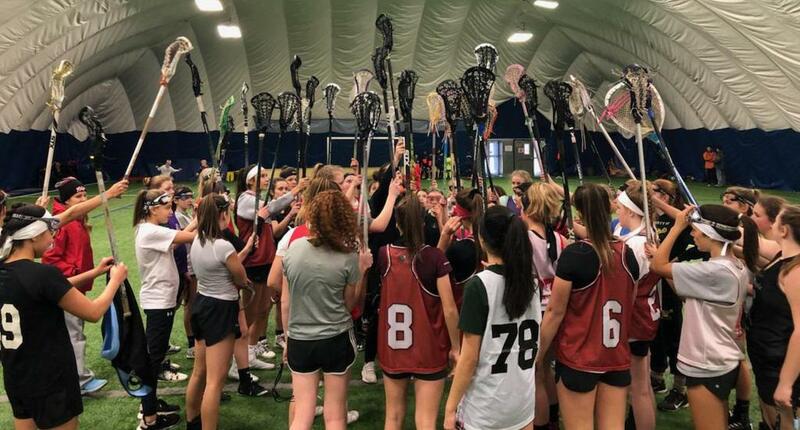 Last year's training was a great success, over 40 girls attended the 6 weekly sessions as a way to prepare for the OWFL season and Ontario Summer Games! This year's training will run on Saturdays for 6 weeks and provide girls with lots of reps, training and development to prepare and improve ahead of the OWFL season. Register by March 20th and for only $20, you can add a custom EDGE pinnie for your training. Pinnie is a mesh pinnie with custom number and name sublimation. 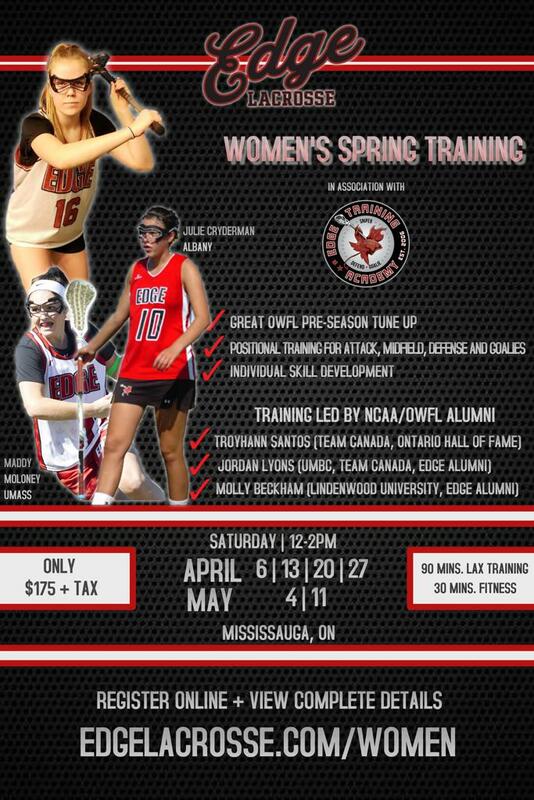 All training will be led by experienced women's staff who have played and coached the game at the NCAA/OWFL levels. Registration is OPEN for the women's winter training days. Sign up for one or both days of training Feb 2 and 16th! 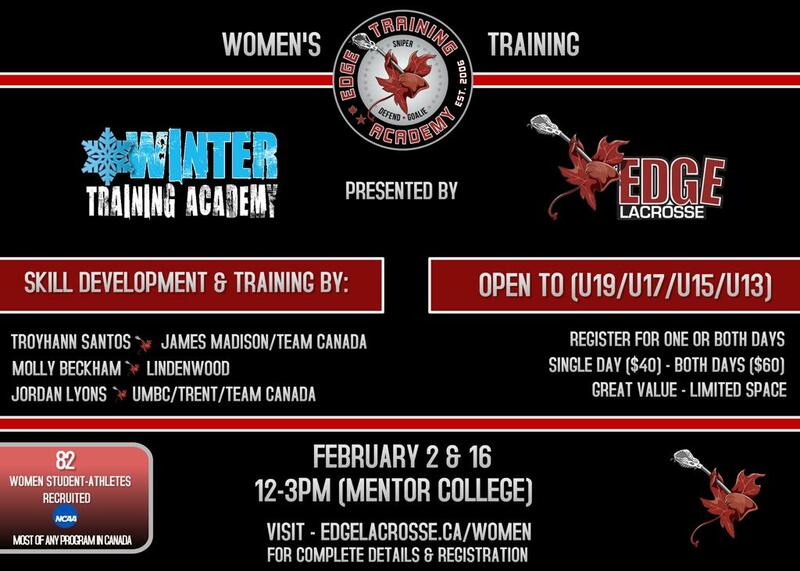 All training will be hosted by EDGE Women's Staff and Coaches.